Over the years, my hair has become a massive extension of my style. 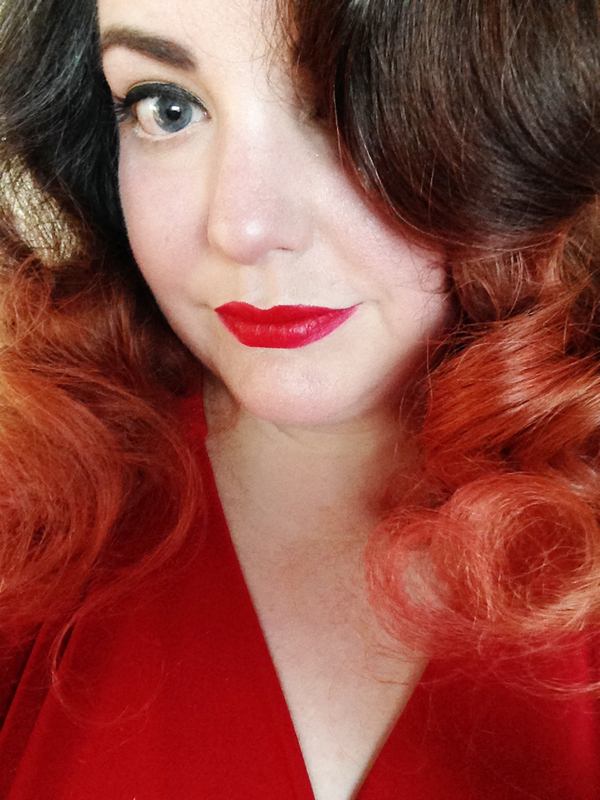 Whether coiffed into bumper bangs or set overnight with foam rollers, I always enjoy giving it a vintage twist to match my wardrobe tendencies. 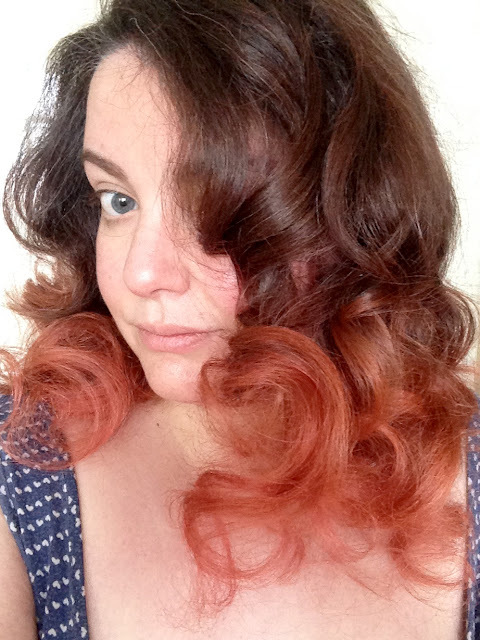 As someone who has naturally frizzy, kink filled follicles, pin-curls were an absolute revelation when I started using them, and became the catalyst for my love affair with no heat styling. 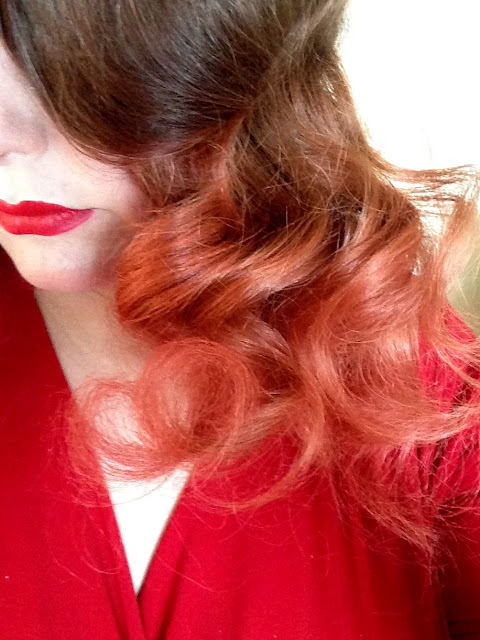 At the moment, I'm really enjoying using foam rollers to get some vintage style s-waves. I use them on damp, slightly air-dried hair and sleep in them with a silk headscarf thrown over to avoid friction and frizz against my pillow whilst I snooze. I've only been using them for a few months, and think I've finally found a setting pattern which works for me, so thought I would document the whole process for the blog so that you can see how I spend about 90% of my life! You'll notice that I don't use a setting lotion. I've used them in the past, and have found that for me they didn't make much difference as my frizzy texture can hold a curl for days. However if your hair is poker straight or has a tendency to drop, it is worth using at the point where your hair is damp and about to be put into rollers as it will make a huge difference. I also use a postiche brush for sectioning and dressing the hair, and a paddle for smoothing and shaping against my hand. 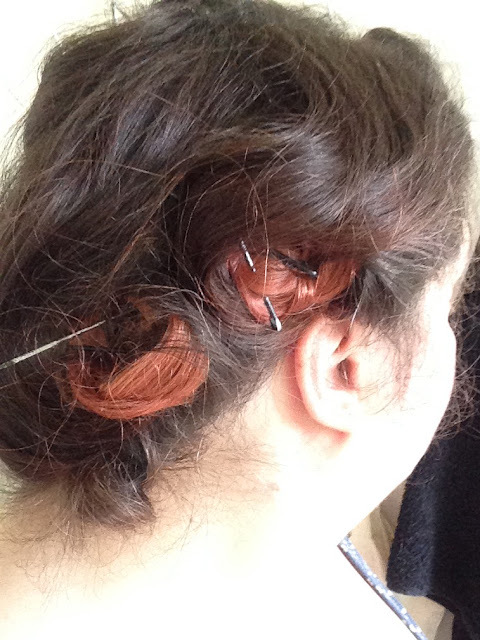 Also, full disclosure - I am NOT a hair dressing professional. I'm just a nerd who likes messing around with vintage styles and has found a way which works for her. The first stage is to get those pesky rollers into the hair. My normal set includes two on top in a straight line (the front one being my "fringe", the second for body at the crown). Then there are two rows of two on either side of my head, with the top ones being rolled under, and the bottom being rolled upwards. 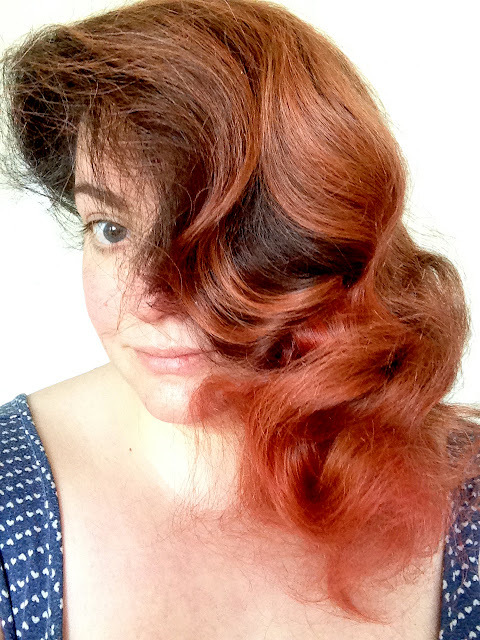 I twist the ends of the hair as I tuck them under, partly to keep any layers in place, but also because I like the more spiral shaped wave it gives. The hair being rolled in the different directions are what will eventually give the interlocking s-wave style. 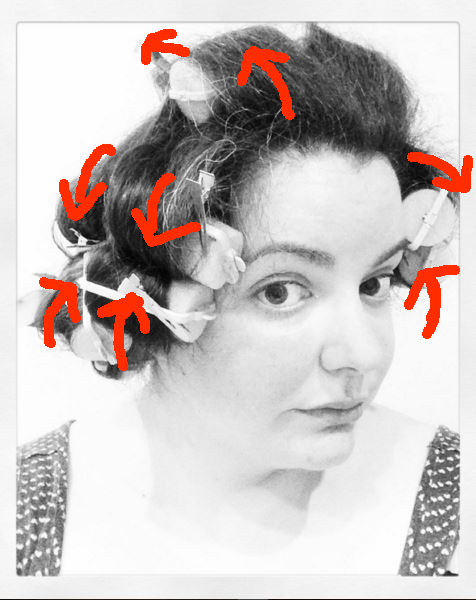 At this stage I use either long hair pins or duck bill pin curl clips to keep the rollers in place, with the bar secured as firmly to the head as possible so that it doesn't dent the wave. 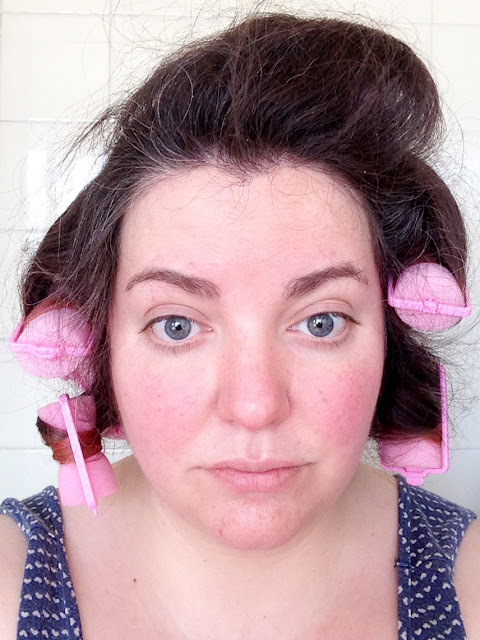 I always remove the pin curl clips just before going to bed as they are not easy to sleep on, but a hair net and headscarf will keep the rollers in place just fine once your hair has dried with them in place. This is the morning after. If the rollers were any bigger than this, I would take them out and sleept on pin-curls. But as these foam rollers are quite comfy, at this point I've left them in all night. 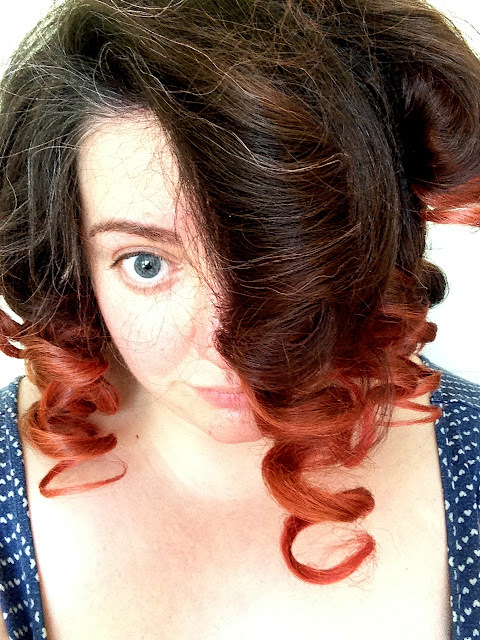 This is the result - five large spiral curls, which will eventually be brushed out into soft waves. 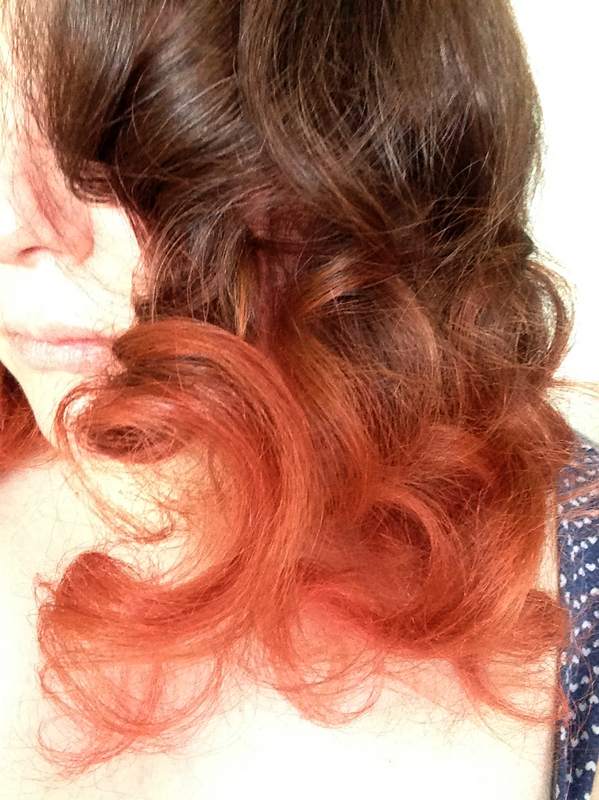 But not before battling with a lot of frizz, sore arms and pre-planning. 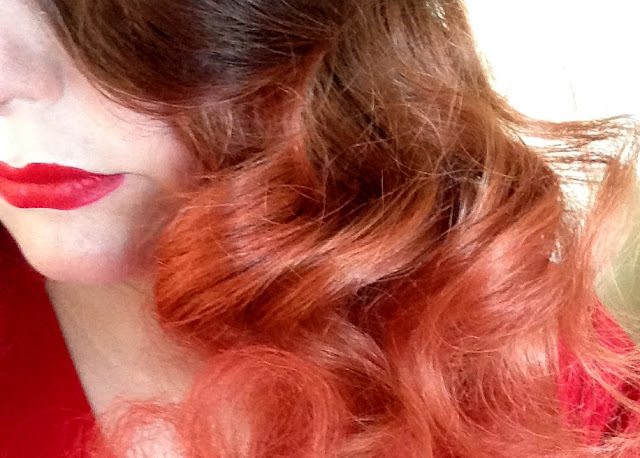 It might seem like the obvious thing to do is to leave the rollers in until you need to prep your hair before going out, but a brush out can often be unpredictable. I've learnt the hard way that the best thing to do is to attack it in the morning, and then re-set it into the shape you want. 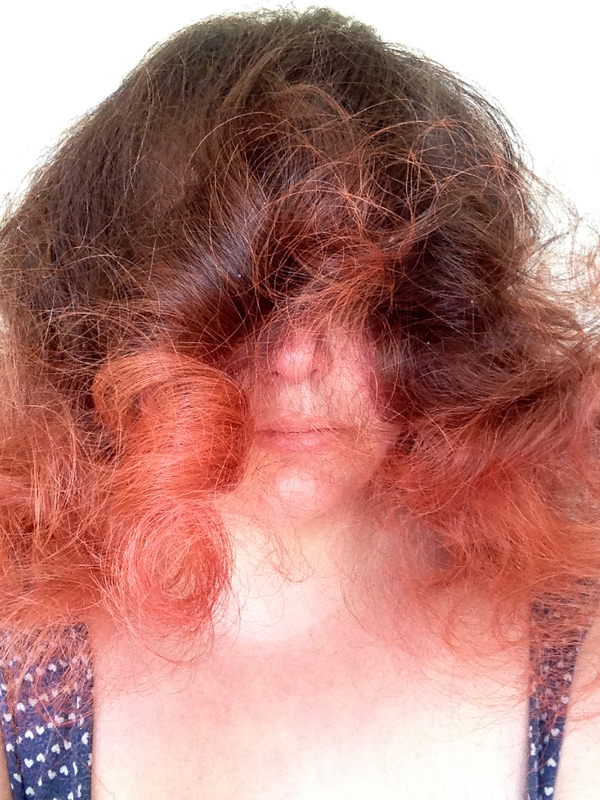 That way if some sort of frizz monster materialises, you have the time to deal with it. When you start the brushing out process, it doesn't matter how often you do it, it's hard to not freak out. Your hair will look like something's exploded inside it for a good ten minutes, and the trick is to use a good brush so that your hair doesn't get more and more static. You use the brush against your hand to help smooth and shape the wave, and with the help of a little product, it'll soon start to look how you want it. I've had times where I've spend the best part of 30 minutes attacking it with bristles and pomade which is why it's always good practice to brush and re-set your hair in the morning when you have more time. Once the waves are looking a little less like monster fur, I split it into five sections. 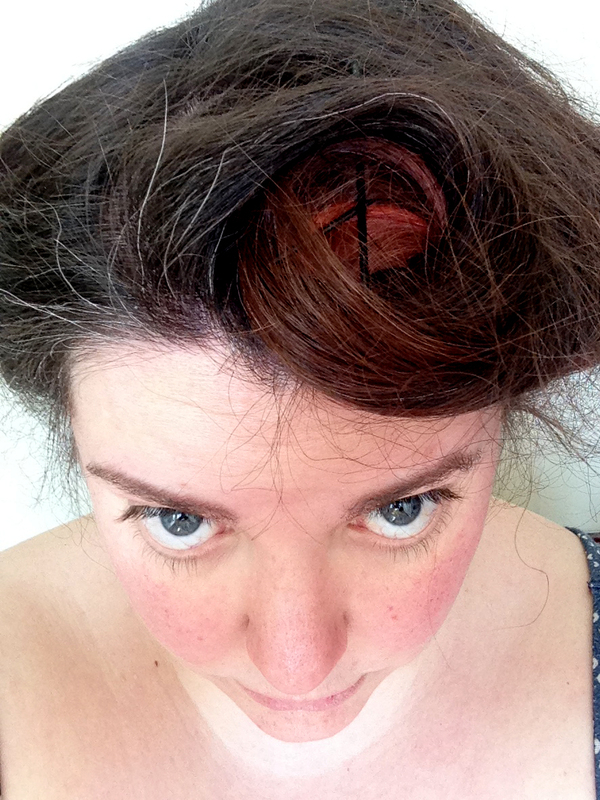 First is a giant pin-curl which would be my "fringe", and then the rest split into four sections. I always try to pin the four side sections in a way which pushes the roots upwards rather than flat to the head so as to keep the lift in it. Also criss-crossing two pins will keep them nice and tight. 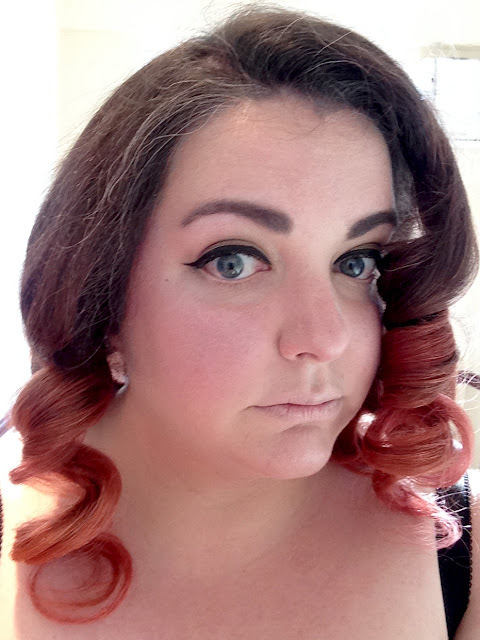 On a side note, I freakin' love pin curls. They are so easy to wear under a scarf, and I frequently go out to shoots with them hidden when I want good hair later in the day. 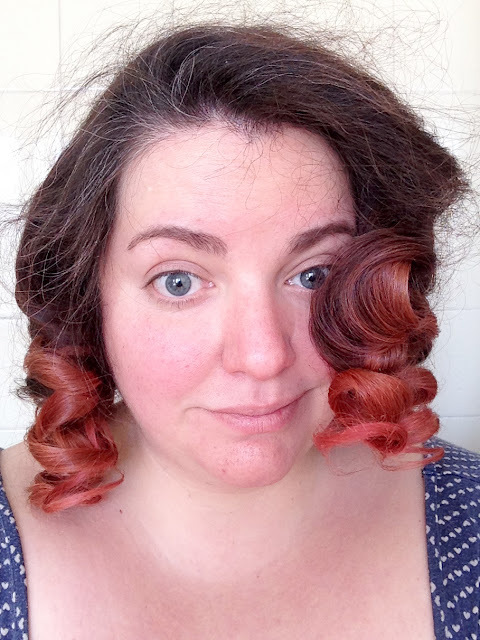 Whilst I've yet to master hiding rollers in a cute manner, I am certainly team pin curl all the way! 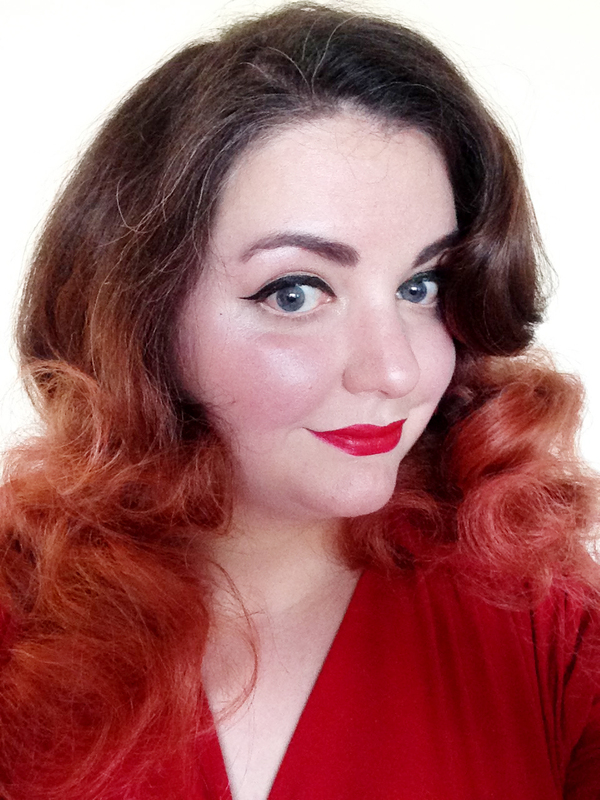 This is the result after two hours of the pin curls being in place, and you can see that the hair is a bit smoother and better defined. Please excuse the mid-makeup foundation covered lips! And we're done! The waves are easy to move and poke around to where I want them to sit, and after being hair sprayed to within an inch of their life, they are pretty much staying put. This style will also be easy to keep for the next few days, especially if I reset the pin curls when going to bed. I made a video to show the movement better, but before watching, please let me say two things. 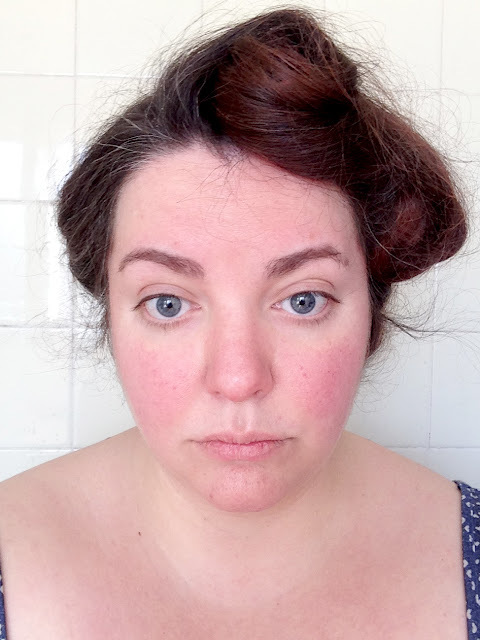 Firstly I am SO SORRY that I shot it portrait - I wasn't thinking at all, and was in total selfie mode when taking it on my phone. Also I really hope that my voice doesn't sound like that in real life! I know everyone says that, but yikes! And please excuse the terrifying brows. I used a new brow powder, and it's WAY too dark for me. Anyway, I hope that this helped at least one person - if you have any questions (or tips! ), feel free to leave them in the comments! Your hair is gorgeous. I love these sort of styles, but my hair is so fine & I'm not that good at hair. I have to rely on the professionals. You are totally rocking n it.